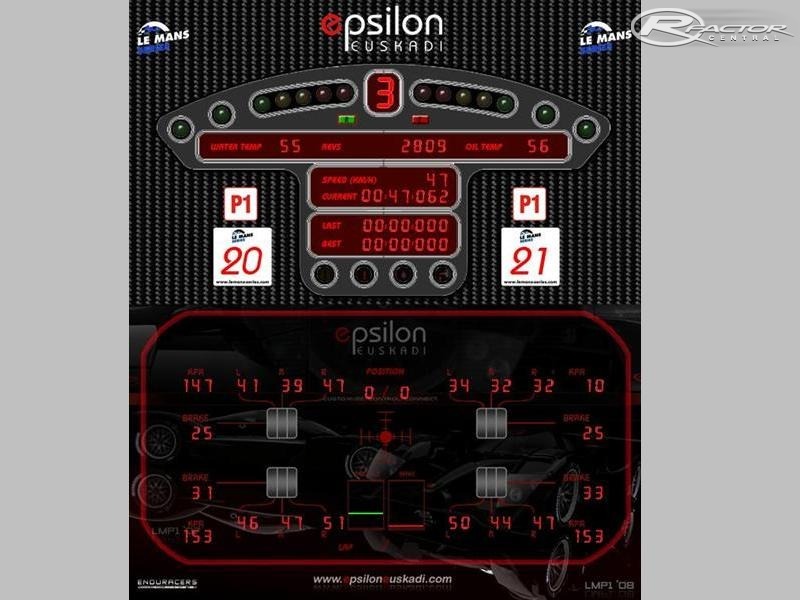 Since the launch of rFactor 2005 some people have created external HUD's for rFactor. Some are working good, some worked good but stopped working with the latest rFactor patch for some reason, others had other problems, some show very much information, others only some basic information. 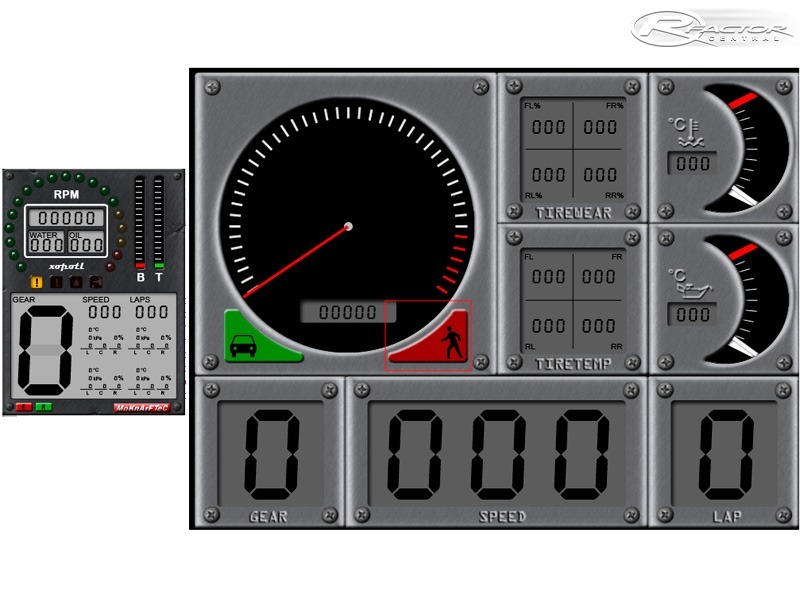 With rF-SkinHud you are able to create your own customized external HUD. This way you can put just the information you want on the HUD and make it look any way you want. The only things you need is are text-editor (even notepad will do) and a drawing program (photoshop, gimp, but even mspaint is sufficent). You can use rF-SkinHud on a second monitor or on a networked Windows or Linux pc. You can also use a PDA by the use of a tool called sidewindow. When I open the skin and click RUN, the program freezes and closes out. anyone got that work on win7 64bits? hi. I want to convert it US measurements. How can I do it? hi there i downloaded it and i dont know how to use it any tutorial vids would be nice. I have 2 network cards in my PC. 1 LAN et 1 wireless. If I put the LAN card IP address in the ini file, it doesn't work. If I put the wireless IP than it works. If somebody is in the same situation (2 network cards) and find a solution, please help. I dont know if it's possible to get it "over" rfactor. This tool is not using some overlay features to be displayed "in the game". It's just a program like rfactor is, and you cannot have 2 program windows active at the same moment. It's alway staying of "not responding"
I found the answer to my first issue. Works great now. Next step - Now I want this mod to work on the local PC, and I want it to sit on top of Rfactor, not behind it. I loved the idea of this mod...but can't get it to work. I did everything, I get the window with the config files, I get the mod and can launch the editor. When I press the listin button, nothing happens?? ?